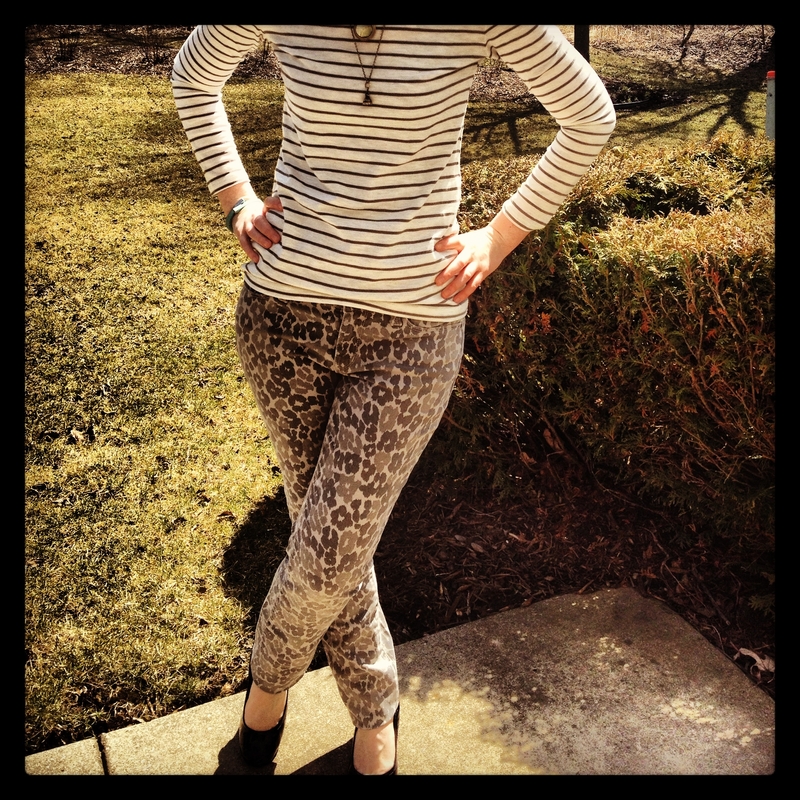 I decided to give the grey leopard pants a spin this weekend at a family get-together. I paired the grey pants with a grey and cream top that matched the pants exactly. With the colors being the same on the top and the bottom, I was able to pair a striped top with the patterned pant. 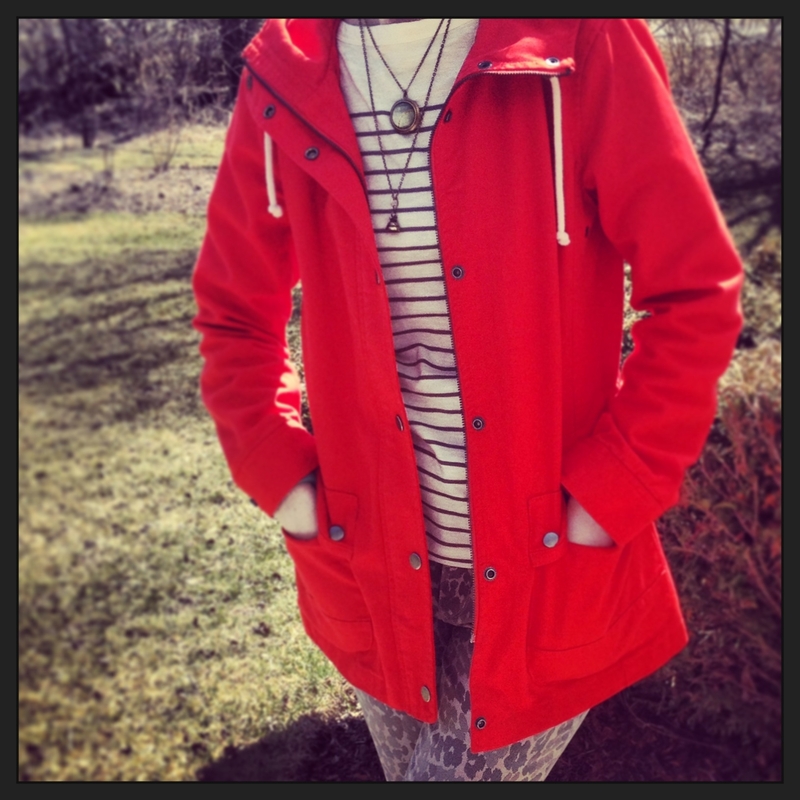 It is still a little chilly here, so I added a spring coat to the ensemble when I was outside. With the rest of the outfit being two neutral colors (gray and cream), the pop of color was a welcome addition to the outfit. 1) If you cannot find a matching top or bottom for another piece, bring the item you are trying to match with you to another store. I did not have a solid or print top to match the pants, so I brought the pants with me to stores until I was able to find a matching top that was on sale. Before buying patterned pants, I like to think of three tops that will match them. If you cannot think of a few matches, then it might not be worth it to buy the pants- unless you do not mind wearing them less frequently. 2) When wearing patterned pants, I like to find a top with a pattern in the same colors, or a solid colored complementary top. With these pants, I plan on wearing a cotton coral top or a lavender lightweight sweater, when I am not pairing them with the gray and cream top.